The Light Yaki Lace Front Wigs Guide. ...You buy the light Yaki straight textured lace wig of course. Our Store has plenty of options for you. So whatever has caused you to require a light Yaki straight full lace wig, you’ve come to the right place, so let’s get down to business! 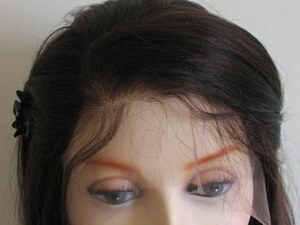 Who Can Wear Light Yaki Straight Front Lace Wigs? Sorry to dispel the myths, but it’s not just those with afro hair who relax their hair. Curlyheads do too and the light Yaki straight texture makes a perfect wig to replicate this type of hair when it’s relaxed or straightened. It’s answered the cries of those with really curly hair but whose hair would not be defined as Afro about what texture to choose for their human hair wig. We would also say that this texture can also be worn by those with Afro hair whose relaxed hair would resemble this texture; or those who want a bit more sheen and gloss on their wig. Whether you think it will look like your natural growth hair when straightened. As wavy hair can be quite glossy, those with afro hair may want to try and find the water wave pattern on Yaki hair as then the hair resembles relaxed afro hair that’s wavy. Much like the information for Yaki straight lace front wigs, you can find a good range of lengths for Yaki light textured hair increase in price dramatically for lengths over 18 inches due the smaller supply of donors that have hair of that length. Lengths for light Yaki straight full lace wigs are typically 10 – 24 inches but you will find places that offer 8 – 36 inches including… erm… well… us – Hooray! If you’re aiming to have your wig cut into a style and that involves taking length off the bottom, bear this in mind when choosing your length of wig. Chinese Remy and Indian Remy hair comes naturally in black to dark brown but you’ll be pleased to not that you can obtain lighter colours for light Yaki hair for lace front wigs! You can find colours in shades up to blonde with light Yaki lace front wigs but these tend to be for custom wigs as opposed to ready to wear in stock wigs …and yes you can check our wig colour guide to see the full range. So if you’re a bit of a penny pincher like I am then choose highlights with a dark wig instead – I go for 1- 2 highlight colours over about 30% of the wig. If you haven’t already perused the Peruke’s Caring For Wigs Guide and cast your eyes over these top five tips to get you started. 1. 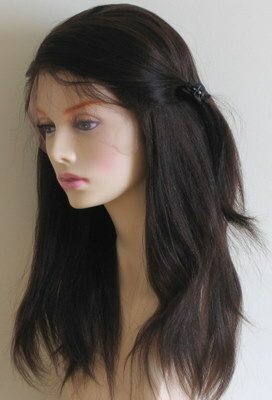 Always wash your light Yaki straight lace wig on a mannequin head (a polystyrene/Styrofoam head is fine). This gives you the chance to see exactly what you’re doing. 2. Use a shampoo for dry/damaged hair (make sure it’s for coloured hair if you’re wig is coloured in any way); or simply choose one that’s for coloured hair. 3. Never blow dry your wig with a hooded dryer or any other! This damages the hair and shrinks the lace, which is of course irreparable. You also needn’t to use straighteners as it’s straight already, but if you must, do so infrequently and the low setting. 4. Anti frizz serums are great to use when the hair is wet to keep your light Yaki straight lace wig smooth. Don’t use anything with mineral oils as this mats the hair. You really don’t need to use much in the way of moisturiser for light Yaki straight hair, but feel free to mix 30% glycerine with 70% water or go one better and by an oil free spray. 5. Use a Denman brush for light Yaki straight lace wig and remember that although you can comb the hair whether wet or dry but don’t over comb the hair and don’t comb it too much when wet as it can contribute to shedding of your luscious light Yaki straight full lace wig! There’s your light Yaki straight lace front wigs guide - easy peasy lemon squeezy!